‘I wish I could provide more answers as to why this happened,’ Andrew Kierstead tells the family of Richard Mills. ROCKLAND – A Maine man who killed his drug supplier for cutting him off told the victim’s family Tuesday that he wished he had answers about what happened that day, then was sentenced to 45 years in prison. Andrew Kierstead of Tenants Harbor was convicted of murder in the September 2012 shooting death of Richard Mills outside Mills’ home in Cushing. Experts testified during the trial in Knox County Superior Court that Kierstead shot Mills once and then followed him and continuing firing with a 12-gauge shotgun. “I know that no matter what I say here today, it’s not going to undo what has been done. The grief your family is going through must be tremendous and I wish I could provide more answers as to why this happened,” Kierstead said. Defense lawyer Steve Peterson intends to appeal the conviction, he told WABI-TV 9. Prosecutors say the 41-year-old Kierstead told them he shot Mills because Mills had hooked him on drugs but then cut him off for not paying a $250 drug debt. 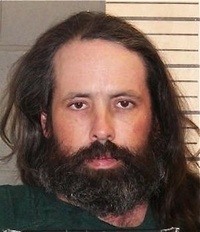 Peterson, who sought unsuccessfully to suppress statements made by Kierstead after a 911 call, argued that a manslaughter conviction would have been more appropriate than murder, saying his client was too intoxicated and suffering from opiate addiction withdrawal to have known what he was doing. “The sentence is overly harsh under all the circumstances. There were a number of mitigating circumstances that show that Andy is capable of being rehabilitated, and with a sentence like this, that pretty much is eliminated as a possibility, or being productive at all,” he told WABI. Leane Zaniea, assistant attorney general, said the family was pleased with the outcome. “Although there are no winners in this senseless tragedy, we do find some comfort that justice was served. Richard was a caring and loving man, always willing to help people, never looking for anything in return,” said the victim’s niece, Summer Temple.